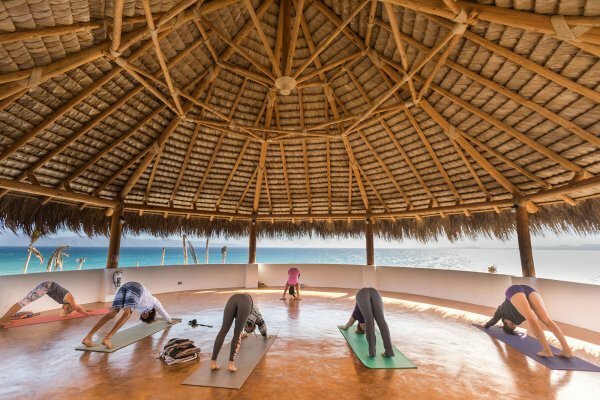 Beachfront yoga shala with a great view to the Sea of Cortez and Cerralvo Island. Great for yoga sessions at sunrise and sunset, it can be used for meditation, yoga classes and workshops accommodating up to 40 people. Fully equipped. It has a palapa roof and no windows, which makes the shala very organic. Next to this shala is a lounge, a library and a meditation area. Ananda shala is our second yoga pavilion, situated right above Kalal Spa. It is a closed, more private space, equipped with A/C. 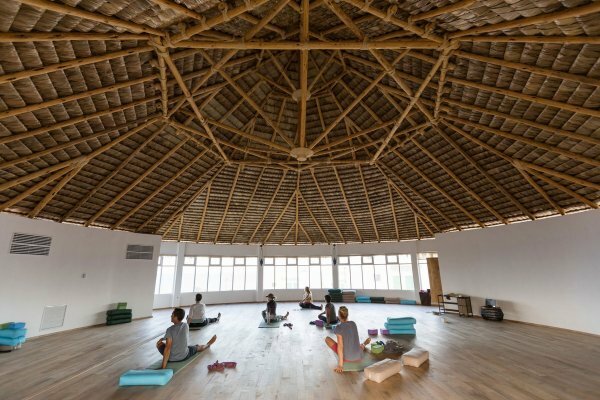 This is a great space for workshops and more quiet, private yoga practices. My intention in my teaching practice is to bring more love and consciousness to all my classes. We cover asanas, breathing techniques, mantras and meditations. In my core class we have fun and connect to the physical body. The class is physical and a perfect complete body work out, as well it is perfect if you are working towards more advanced asana practice. While it is physical you do not have to be an advanced yogi to enjoy. In contrast to the strong physical practice my yin class is slow and deep we focus on the spiritual and energetic connection to the body. My breathwork class is a therapeutic process that is more effective in developing awareness to your body than even yin yoga. In yoga we spend an hour going in to improve what is going on without. Join me to learn more!